Powers 8 circuits of your home with the 50-amp, NEMA 1 (indoor rated only) lightweight transfer switch. 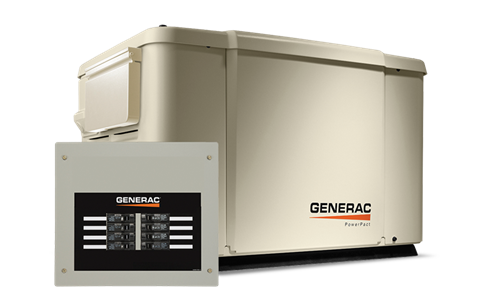 Generac generators and engines are engineered and built in the USA. 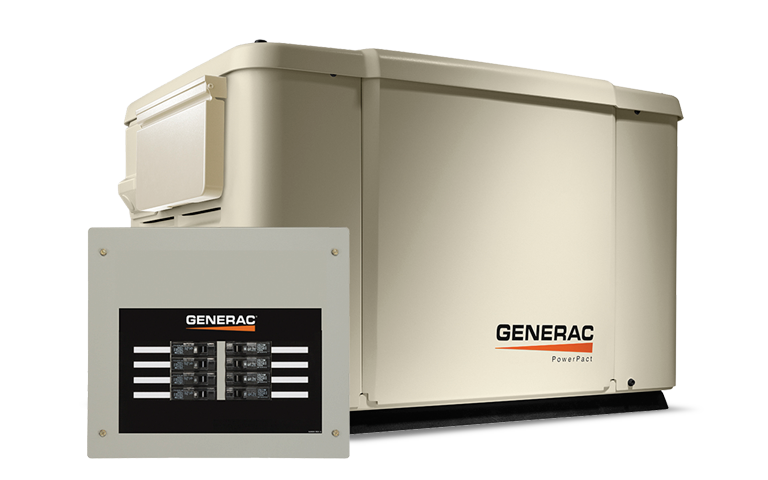 Generac OHV engine is designed for reliability and long-life operation. 24 / 7 / 365 Customer Support Team standing by all day, every day from our headquarters in Wisconsin to answer any questions you might have. Durable powder-coat finish helps make the sturdy, galvanneal steel enclosure perfect for all weather conditions. Liquid Propane - Half Load 31.6 cu. ft. / hr. Liquid Propane - Full Load 51.6 cu. ft. / hr. Natural Gas - Half Load 73 cu. ft. / hr. Natural Gas - Full Load 117 cu. ft. / hr.